Often referred to as the rainforest of the sea, coral reefs are one of the most important and biodiverse ecosystems on the planet- but as the climate is warming, reefs are waning. First off, what is coral? Coral is a living, breathing, and eating organism that lives on the ocean floor. Coral reefs are actually comprised of millions of tiny microorganisms called coral polyps. A coral polyp is a soft-bodied organism, similar to a jellyfish, with a protective calcium carbonate (limestone) skeleton at its base. Once a single polyp attaches to a rock it starts to divide and multiply, forming a coral reef. 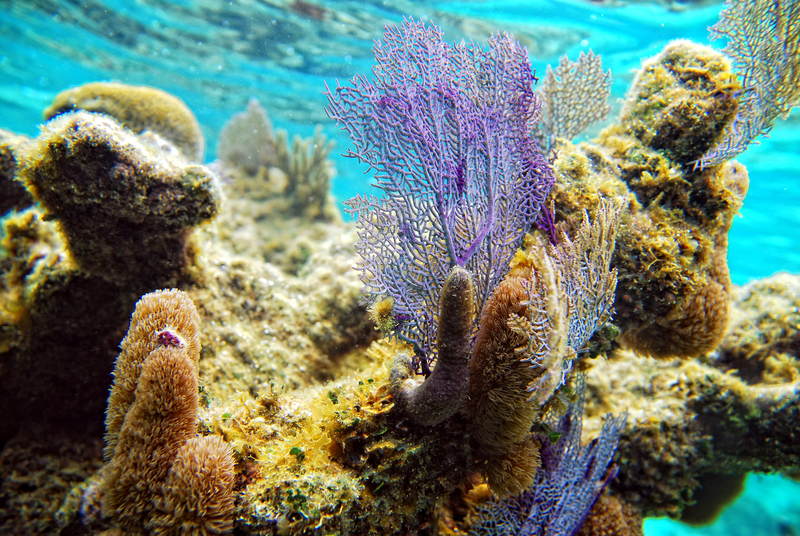 While their sessile nature may make them appear to be more like a plant, coral are actually an animal. In order to be classified as a plant an organism must be able to produce its own food through a process like photosynthesis. Instead, coral rely on a symbiotic relationship with the algae zooxanthellae (zo-zan-thel-ee) to get their food. Zooxanthellae grow in-between the coral polyps and produce sugar for the coral polyp to eat. In return, coral provide the algae with carbon dioxide and a comfy place to call home. The truly amazing thing about zooxanthellae is that not only do they produce food for coral, but they also give coral the magnificent colours that they are so famous for. In fact, millions of zooxanthellae can grow in just one square inch of coral. Why is coral so important? Located off the coast of Queensland, Australia, the Great Barrier Reef is the largest living structure in the world, spanning over 2200 km (1400 mi). Globally coral reefs only cover 0.1% of the ocean floor, but they provide a habitat for around 25% of all known marine life. Not only are reefs a popular spot, but coral habitats are also incredibly biodiverse and serve as the foundation of the entire oceanic ecosystem. Coral are also an important indicator species. Like many marine species, coral require a specific constellation of conditions in order to live sustainable lives. When those conditions are met, coral reefs can live in perpetuity. But when sea conditions change, reefs do too. So when coral starts to deteriorate, the consequences go far beyond the reefs and reverberate across the entire ocean. Scientists still don’t fully understand the impacts of an ocean without coral, but they are sure that the impacts will be far reaching and detrimental to life both under and above the sea. Coral reefs have a high economic value as well. In the US alone, it is estimated that coral reef fisheries contribute over $100 million to the economy. Globally, revenue from coral reef based fishing and tourism industries is in the billions. Further, properties from coral are used in pharmaceuticals used to treat cancer, arthritis and viral diseases. 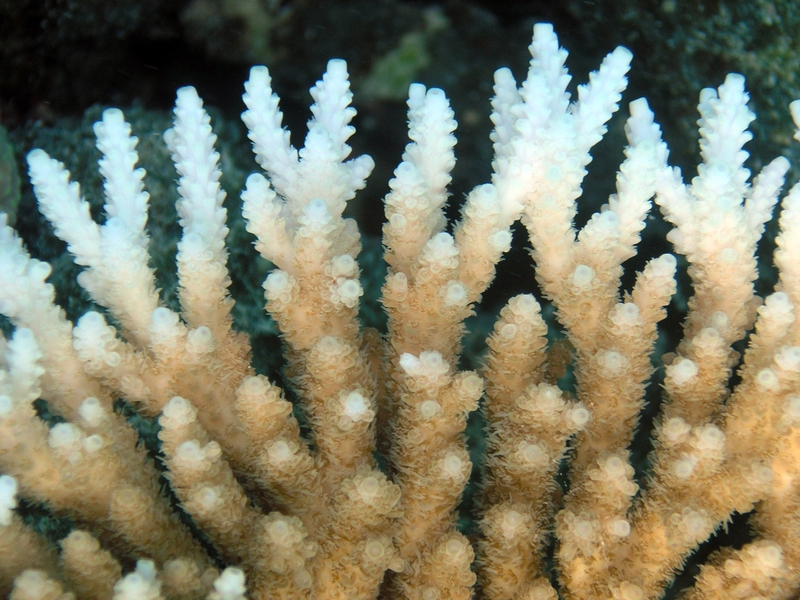 What’s coral bleaching and why is it happening? In a recent study published in the journal Science, scientists have shown that coral bleaching events are occuring at an unprecedented and destructive rate, 5 times as often as they were just 30 years ago. But what is coral bleaching? At the surface, coral bleaching is as simple as it sounds in that a bleaching event means coral turns white. But there’s more to it than that. 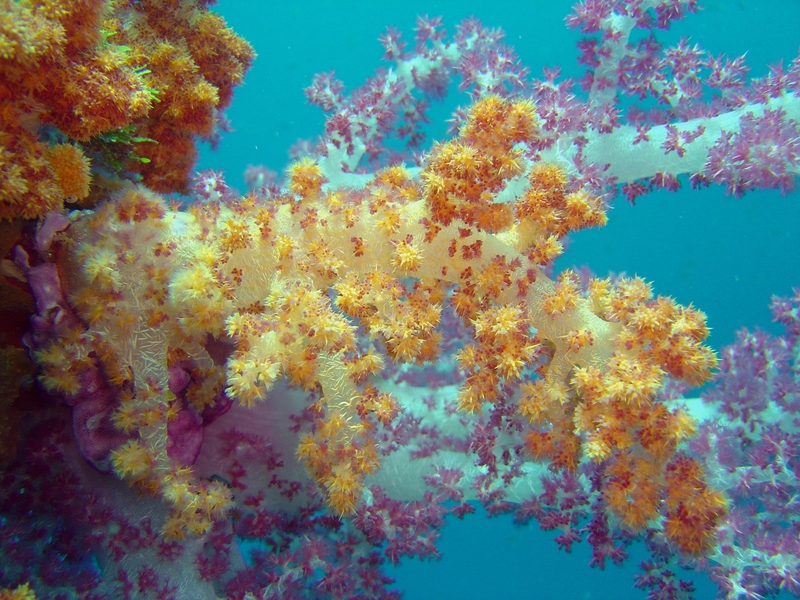 The National Oceanic and Atmospheric Association (NOAA) has an extensive catalogue of literature on coral reefs, and specifically coral bleaching. Coral bleaching is usually caused by an increase in ocean temperature, acidity, or pollution, all of which can be directly or indirectly attributed to climate change. When a coral bleaching event occurs, the conditions for symbiosis are stressed and the zooxanthellae release from the coral. This leaves the coral without a sufficient food source, and the white limestone skeleton of the polyps are left to bare. While this makes the coral more susceptible to disease, it doesn’t mean the coral is immediately dead. With prosperous conditions the coral can recover and the algae can return. This is becoming increasingly less likely, however, as the issue of climate change continues to be met with inadequate measures and climate trends show no sign of the ocean cooling down. When it comes to coral, perhaps the most important question to ask is “what can be done to stop bleaching and save the reefs?” This is a pressing global issue that requires immediate, widespread action. And we get it, climate change and its manifestations can seem daunting and unmanageable. As with any symptom of climate change, large scale measures like reducing carbon emissions, moving to renewable energy, and significant waste reduction are imperative. Scientists have even begun looking for large scale coral specific solutions, ranging from giant shade cloths to prevent localized warming, to electro-shocking reefs to stimulate growth. But there are tangible actions that can be taken at the personal and social level as well. 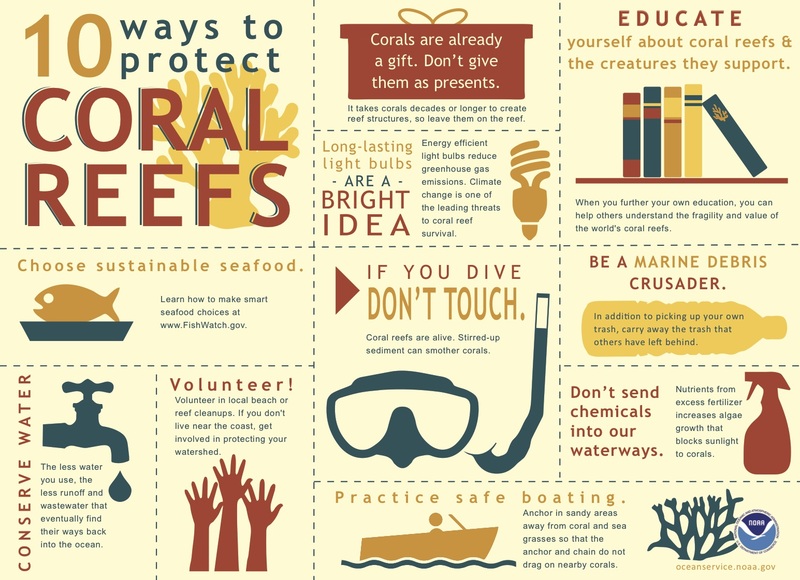 NOAA has put together an infographic (below) that highlights ten ways that an individual can help protect coral. These range from not touching coral while diving to choosing sustainably sourced seafood. As we as a society face the challenge of protecting coral, challenge yourself to adopt these practices into your daily routine. Below we’ve compiled a list of further resources to consult on all matters coral. As NOAA suggests, educating yourself and others on what’s happening to coral and what can be done about it is an essential part of the fight to save the reefs. NOAA is a great place to start. They have a lot of accessible literature on coral reefs and even run a coral reef satellite monitoring site. Since the study in Science came out, there has been a lot of media attention paid to coral bleaching. To read more about bleaching specifically, check out articles from The Guardian, The New York Times, and Science Daily. In 2016 The Guardian also ran an in depth look at the state of the Great Barrier Reef specifically, which you can find here. To learn about the impact of sunscreen on coral, check out our article Think of Coral When Choosing Sunscreen. To see what an organization on the front lines of coral protection does, check out the work of Miami Waterkeeper. And if you’re more into watching than reading, check out the Netflix Documentary Chasing Coral. It follows a team of researchers exploring coral reefs and bleaching, balancing the somber reality of the situation with tangible solutions.